I am back in Lichfield for a brief visit, staying this evening in the Hedgehog on Stafford Road, and hoping to meet some friends, visit Lichfield Cathedral, and enjoy a few walks either around Stowe Pool or Minster Pool, in the Cathedral Close, though the cobbled streets in the heart of Lichfield, and perhaps, if the weather is kind, in the countryside close to the Hedgehog, as well as attending some of the daily services in Lichfield Cathedral or the Chapel of Saint John’s. But the main purpose of this visit is an interview with Dave Moore, a local historian you makes films on local people and their memories of local history. Much of his work has been prize-winning, and his recent productions include a film of a self-published author, with a focus on how he sees his past. He tells me he plans ask me to talk about who I am, how I see my own identity, and then perhaps he may pick up on events of significant importance in my life and develop the conversation around that. He also hopes to ask me about the causes of war, following the short film I made with Saint Patrick’s Cathedral to mark the centenary of World War I. We are filming this morning in the Chapel of Saint John’s Hospital, Lichfield, thanks to the hospitality Canon Andrew Gorham, the 49th Master of Saint John’s since 2011. I chose the chapel in Saint John’s for this morning’s interview because my experiences there one afternoon in 1971, and at Choral Evensong later that day in Lichfield Cathedral, mark the beginning of my adult faith a pilgrimage that led eventually to my ordination and priesthood. I came to Lichfield following in the footsteps of my great-grandfather James Comerford about 70 years earlier. Like him, I was seeking the story of origins of the Comberford family, which was intimately linked with Lichfield for many generations, spanning centuries of the history of the family. At the time, I accepted the long-standing belief my Comerford family was descended from the Comberford family which took its name from Comberford, east of Lichfield and north of Tamworth. Although research has since challenged that popular myth, my own links with Lichfield have continued over the decades. Comberford village is in the Parish of Wigginton and Alrewas, within Lichfield District Council. In 1934, Wigginton and Comberford were transferred from the former Tamworth Rural District to Lichfield Rural District. Lichfield City Council and Lichfield Rural District Council were amalgamated in 1974 as Lichfield District Council, and Comberford Hall, Comberford Lodge and Comberford Manor Farm are among the Grade II historic buildings in Lichfield District. Alanus de Cumberford, or Alan of Comberford, who was living in Comberford in the reign of William I or II, ca 1070-1120, also held land at Chesterfield, near Shenstone, south-west of Lichfield. A generation later, in the reign of Henry I (1100-1135), Alanus de Comberford held lands at Chesterfield. In 1166, yet another Alanus de Comberford was “dominus de Comberford.” When he received a grant of the manor and lands of Wigginton, the witnesses included Nicholao de Licefelde [of Lichfield]. In the reign of Richard I (1189-1199), the Comberford family owned the Manor of Chesterfield. The Comberford family become directly engaged in the life of Lichfield in the 15th and 16th centuries, with bequests to the Franciscan Friary and through membership of the Guild of Saint Mary and Saint John, effectively the city government of Lichfield from 1387 until 1548. John Comberford, who died in 1414, left 10 shillings for masses to the Franciscan Friary in Lichfield. In 1460, William Comberford and his wife Anne extended their property holdings around Lichfield when they acquired land in Lichfield, Longdon, the lost hamlet of Morughale, south-west of Streethay, Curborough, Streethay, King’s Bromley and Elmhurst. 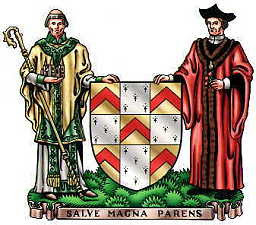 In 1469, William was admitted to the Guild of Saint Mary and Saint John in Lichfield, along with Ralph FitzHerbert, father-in-law of William’s grandson, Thomas Comberford. A few years later, William’s son, John Comberford, was admitted to the Guild in 1476. A third generation of the family became involved in Lichfield civic life when Thomas Comberford (ca 1472-1532) was admitted to the Guild in 1495. We have a good account of Thomas Comberford’s land holdings in the Lichfield area around the year 1525, particularly in Wall and Wigginton. Humphrey Comberford, who was married to a niece of Elizabeth (or Anne) Stanley of Hammerwich, near Lichfield, and of John de Wolseley, was the fourth generation of his family to take an active role in the civic life of Lichfield. In 1530, he became the Master of the Guild. 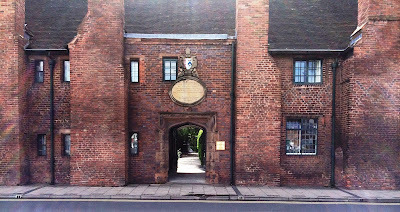 In the same year, his sister-in-law, Dame Isabella Cumberforde (Isabel Biggs), wife of Judge Richard Comberford, was admitted to the Guild, indicating her strong commercial interests in Lichfield. Richard Comberford is supposed to be the immediate ancestor of the Comerford family in Ireland. A family tree drawn up in the 18th century, but probably based on earlier lore, claims that a widowed Richard Comberford came to Ireland and married a descendant of another branch of the family long settled in Co Kilkenny. During the reign of Queen Mary, Humphrey Comberford’s brother, Canon Henry Comberford (ca 1499-1586), was Precentor of Lichfield Cathedral from 1555 to 1559, and was a key figure in the events surrounding the Reformation in Lichfield. 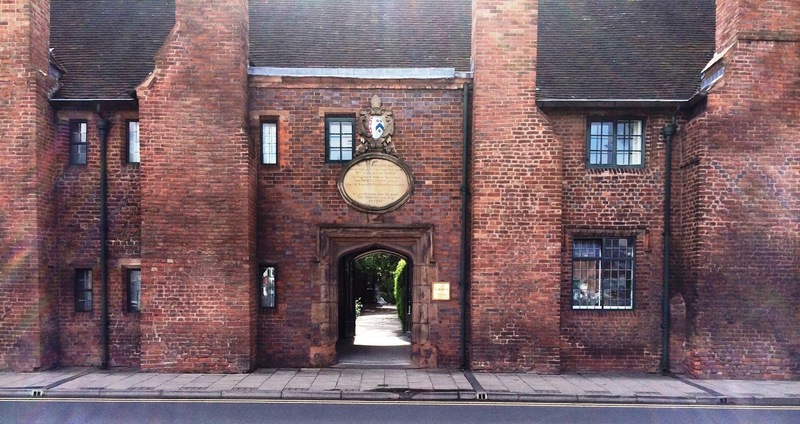 The precentor’s residence traditionally has been at No 23 in the Cathedral Close in Lichfield. The precentor was the first residentiary canon of the Cathedral and also a Justice of the Peace for the Cathedral Close. In 1559, the bailiffs of Lichfield City, Edward Bardell and John Dyott, accused Henry of “lewd preaching and misdemeanour.” He was summoned before the Privy Council, was deprived of all his benefices because of his extreme Catholicism, and was in jail until April. Within months, Ralph Baynes was deprived as Bishop of Lichfield; the Dean of Lichfield, John Ramridge, was sent to the Tower, and was later murdered when he fled to Flanders; the Chancellor, Alban Longdale, was deprived, the Treasurer, George Lee, resigned, and many of the prebendaries and cathedral clergy were deprived or forced to resign. In a report on the recusants of Staffordshire in 1562, Edward Grindall, Bishop of London, described Henry Comberford as “learned, but wilful.” He was ordered to live in Suffolk, but was free to return twice a year to Staffordshire, for six weeks on each occasion. In 1570, he was charged in Yorkshire with defending the Mass. By 1579, when he was aged 80, Henry was a prisoner in Hull for his religious beliefs, which were regarded as dangerous to the state. He died on 4 March 1586 in Hull Prison. Henry Comberford’s Catholic views were shared by his sister, Dorothy Heveningham of Aston and Pipe Hall. Her son, Sir John Heveningham of Pipe Hall, a “suspected papist,” was accused of failing to attend Saint Chad’s Church, Stowe, but he defended himself by pointing out that attended Lichfield Cathedral and arguing that Saint Chad’s was not a parish church. The Comberford family interests in the Lichfield area continued, and in 1586 William Comberford was still owned the lands at Chesterfield that had belonged to the family for generations. In 1586, he was in Lichfield when he was robbed violently in Shenstone “Little Neddy,” a well-known highwayman. With the outbreak of the English civil war in the mid-17th century, both Colonel William Comberford and his nephew, also William Comberford, were involved in the siege of Lichfield. William Comberford ‘the nephew’ appears to have lived in Lichfield, drawing on his neighbours in the city to form trusts that secured his interest in the mortgaged Comberford estates, acting as godfather to the children of many leading citizens in Lichfield, and leaving bequests to them in his will. Colonel William Comberford was High Sheriff of Staffordshire and on 2 February 1643, he wrote from a besieged Stafford to his kinsman Ralph Weston of Rugeley, asking him to send “with all speed to Lichfield” for muskets and fowling pieces to help in the defence of Stafford. The assault on Lichfield in March 1643 was led by Richard Greville, Lord Brooke, and Sir John Gell. As Brooke was leaning out the window of a house in Dam Street when he was hit by a deflected bullet in a shot fired from the central tower of Lichfield Cathedral fired by a sniper, John “Dumb” Dyott, who was a godson of Colonel Comberford’s nephew, William Comberford. The incident took place on 2 March, Saint Chad’s Day, and because of this coincidence the accidental killing of Brooke was quickly hailed as a miracle by the royalists. After the fall of Tamworth, as the Moat House was being ransacked, William Comberford escaped to Lichfield, where once again he joined the royalist army defending the city against a new siege. 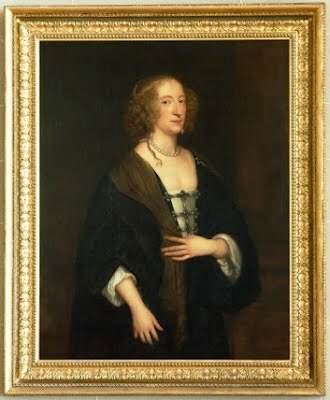 In his will, William Comberford left a book of pedigrees of the Nevilles, Earls of Warwick, to his friend, Frances, Marchioness of Hertford, later the Duchess of Somerset, and described her affectionately as a “trulie virtuous ladie …” The former Lady Frances Devereux (1599-1674) was a sister of Robert Devereux, 3rd Earl of Essex. Her husband, William Seymour (1587-1660), Duke of Somerset, was the Recorder of Lichfield. When she died on 24 April 1674, she left her collection of 1,000 books to Lichfield Cathedral, including William Comberford’s book and the Saint Chad’s Gospel, which remains one of the treasures of the cathedral. Meanwhile, William Comberford’s nephew, also William Comberford, had moved to secure his interests in the Comberford estates through the formation of trusts involving some of the leading citizens of Lichfield. In 1641, he placed all his interests in the Comberford estates in a trust involving Sir Richard Dyott of Lichfield, John Birch of Cannock and Thomas Wollaston. 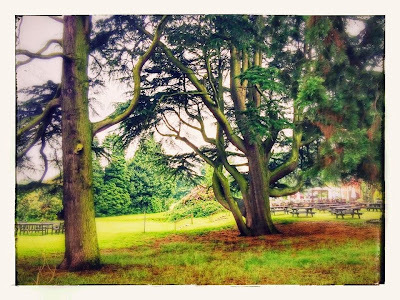 But William failed to secure the Comberford estates, and probably lived on in Lichfield. 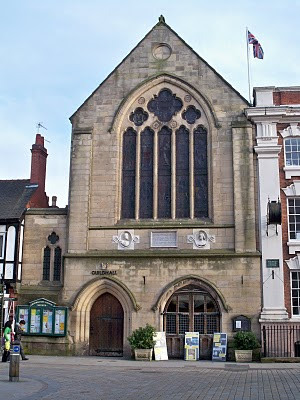 His first trustee, Sir Richard Dyott (died 1659) of Freeford Manor, Stichbrooke and Saddler Street (now Market Street), Lichfield, was Steward and Recorder of Lichfield, and had been MP for Lichfield in the 1620s. Sir Richard’s brothers included John ‘Dumb’ Dyott. Another trustee, John Birch, was related by marriage to both John ‘Dumb’ Dyott, and Canon Matthew Babington, a canon of Lichfield Cathedral. In his will, William Comberford provided bequests for family members and his godchildren, including John Dyott of Lichfield, Robert Ward of Shenstone whose family owned an inn in Lichfield and Mary Walmsley of Lichfield. Mary Walmsley was a sister William Walmesley, Registrar of Lichfield (1692), JP for Staffordshire, Whig MP for Lichfield (1701), and Chancellor of the Diocese of Lichfield (1698-1713). 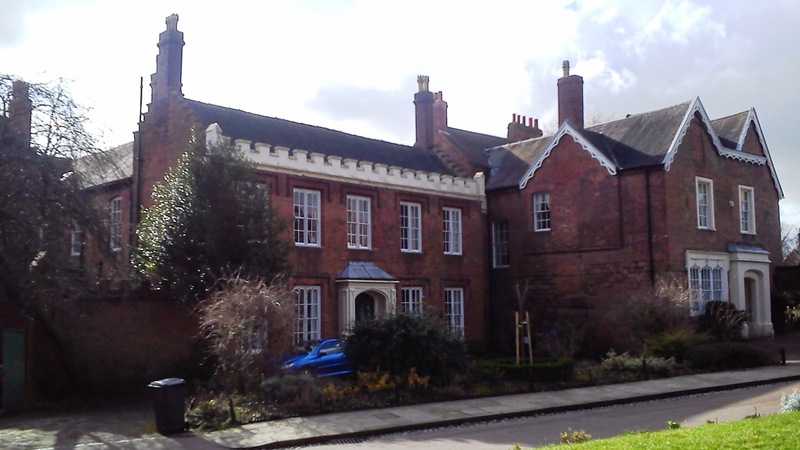 After the civil war, the Comberford family appears to have continued to have a town house in Lichfield. 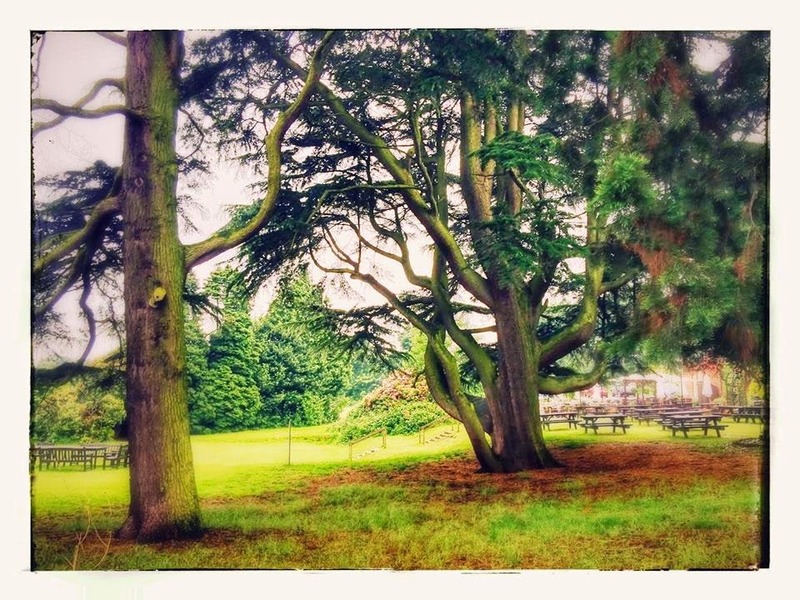 At the age of 69, William Comberford’s brother, Robert Comberford, attested the Comberford family tree in Lichfield in 1663. It was probably recorded by Elias Ashmole from Lichfield, but it is interesting to ask why Robert never provided Ashmole with the full name of his father-in-law, the dates his brothers and sisters died, or particulars of their marriages and children? 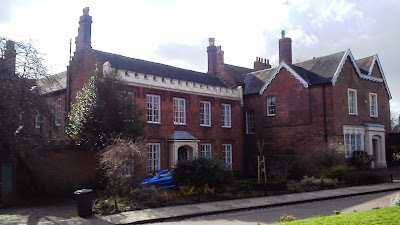 Robert’s widow Catherine (Bates) was still living in Lichfield in 1683, and her daughters Mary Giffard and Anne Brooke also kept links with Lichfield. The estate at Comberford Hall had been claimed unsuccessfully by Robert Comberford’s cousin, Francis Comberford, a Quaker from Bradley. Francis Comberford’s daughter, Anne, was married in Lichfield on 12 November 1667 to Richard Meighim, a tanner from Shropshire. The Comberford estates eventually passed to Lord Donegall, who owned Comberford Hall at the end of the 18th century and who gave his name to Donegal House in Bore Street, Lichfield. Judge Richard Comberford, whose wife was a member of the Lichfield Guild, was long presumed to be one of my direct ancestors. Members of the Irish branch of the family erected monuments to the Comberford family in the Comberford Chapel in Saint Editha’s Church, Tamworth, and the legend continued. 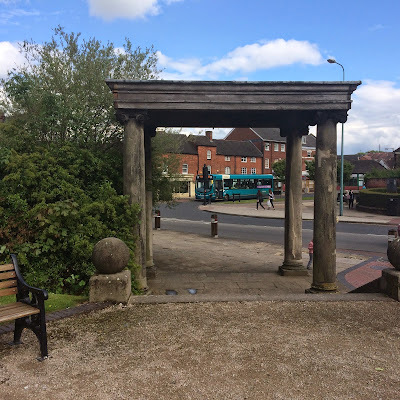 When my great-grandfather came to Lichfield, Comberford, Tamworth and Wednesbury to research the family tree, he described himself as a descendant of the Comberford family. His small account of the family history was bound for him shortly before his death in 1902 by my grandfather, Stephen Comerford. I followed in my great-grandfather’s steps in pursuit of these stories in the early 1970s. Although the legend has since been disproved, the connections between the Comberford and Comerford families are of such close affection that are like a kinship based on mutual adoption. I am hardly going to get to tell much of this story to Dave this morning. But it is always good to be back in Lichfield, where, understandably, I always feel at home. A beautiful place to stay, and the history, photography combination.